So? Did you lose part of your brain mass when you lost weight? Or did you sneeze and part of your brain was blown out your left ear when you grabbed your nose? Or, was it success granted to you by leftists whose asses you kissed that caused your loss of brain cells. The irony here is that you made the comment that so many late-night talk show hosts are liberal “Because it requires a level of intelligence”. Well, Mr. Kimmel, just exactly to WHAT level of intelligence were you referring? Is it intelligence to show that you have isolated and address only progressive Americans who buy the daily leftist nonsense in the media? You know, those who willing to give up their freedom for free stuff and nonsensical notions of Utopia? There was a time in this country when late night comedians were actually funny and garnered tens of millions of viewers for only one show. You barely manage to break 3 million sometimes! That means that you have lost nearly 80% of your audience! Is that so intelligent? George Noory of late night talk radio, predominately on AM, which most of your audience doesn’t even know exists, gets 9 million viewers. Do you realize how embarrassing that is Mr. Kimmel? That means that your so-called intelligence can’t even compete against a late night radio show about aliens and the supernatural! And don’t try to hide behind the fact that the people listening to AM at that time of the night aren’t looking for humor. Remember, Johnny Carson, who WAS funny saw 19 million viewers per night during his last week broadcasting in 92. How many of those viewers shifted to other forms of entertainment like say, alien talk, because your brand of late night shifted to strictly leftist politics? And also don’t try to hide behind the notion that TV viewership has taken quite a hit from the internet. 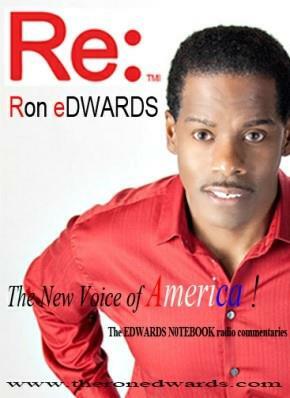 Even if that is true, you are still losing TO late night talk radio…on AM! AM has been around longer than both TV AND the internet! You, Colbert, Trevor Noah, are only where you are because your companies are run by leftists. They have figured out the time slots that they can still make good advertising dollars on by Not turning away an entire segment of the American population and they allow you to use the late hours to spew your rhetoric, even if it means the value of that time goes down as a result. So far down that it is cheaper to advertise on your time slot than, once again, Late night AM radio. In other words, the only reason that you and your cohorts can continue to be NOT FUNNY comedians is because your shows are literally carried by other time slots that are watched by people with TRADITION AMERICAN VALUES! And you are so damned intelligent that you can’t even see this. You think that your version of political commentary is clever, but it is obvious that you do no research and probably have no idea what the term “empirical data” means. You see the daily headlines in the deep-state media complex and you regurgitate them. You don’t even have to think to do this, because the headlines themselves already have the opinion attached. You align yourself with leftist activism and assume that all conservatives are idiots without an argument. Your complacency in this actually ended up harming you when you made the stupid decision to invite Trump supporters to your show. 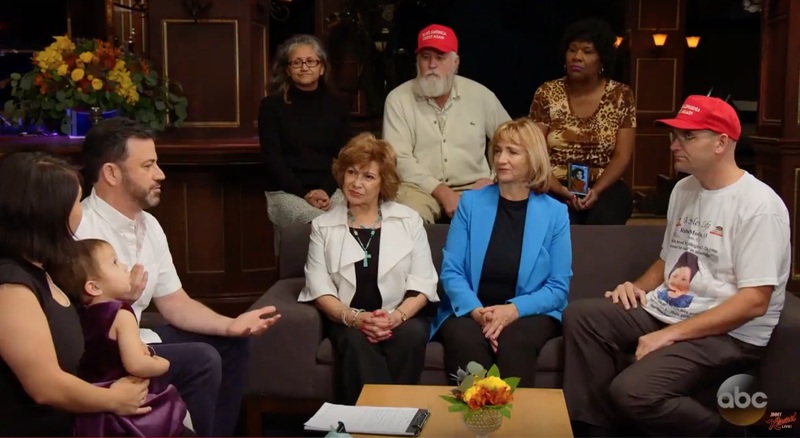 You found out the hard way that these people were actually educated and more informed than you. As it turns out, most Trump supporters happen to know the Constitution and state and local laws. In typical progressive freedom-stealing fashion you tried to present an argument based on emotion and the Trump supporters turned THAT argument against you as well. You were so ill-prepared that you even snapped on set. Although you edited it out, you lost every point of your own argument and even lost your temper. So, I find it laughable that patriots on Twitter are challenging you to a debate with someone as sharp as Ben Shapiro, when a less-known Conservative and Trump supporter, Arthur Schapper, triggered you on your own show. I am pretty sure that in your little progressive elite bubble, even YOU know that you would fail miserably debating the likes of Shapiro. I personally would love to take you on, NOT because I consider you a challenge, but because I would love the world to see just how much of a fool you are. You see, in spite the media hand picking and labeling certain people, the truth is, Conservative-libertarian types are very informed. Many actually started out believing the nonsense that you spew. But what happened is that they became conservatives because they realized that freedom and liberty cannot be achieved by subscribing to the notions that you espouse. In fact, your ideas only lead to corruption, economic collapse, and ultimately, starvation. You only have to see what has happened in places like Cuba, Russia, and Venezuela in order to become aware of this, but it seems that you, having joined the elite circles, lack the logic to do so. Regardless of how you try to argue your little points, you cannot escape the fact that everything that you believe in has destroyed the very state in which you reside. California, in spite of having the world’s sixth largest economy, is now the poverty capital of the United States with one in every three welfare recipients residing there. The policies YOU spew and the politicians that YOU support are single-handedly responsible for a million-unit housing shortage, a failed schooling system, a disappearing middle class, a declining small business sector, higher crime rates, and a widening gap between the haves and have-nots. It is YOUR PEOPLE and YOUR IDEOLOGY that have destroyed YOUR state. The fact that you would make a statement about the intelligence level of those who disagree with you shows just how foolish and idiotic you are. Everyone knows that the real reason conservatives aren’t part of the late night comedy landscape is because they AREN’T ALLOWED THERE! The left is so frightened of conservatives that they would never give them the opportunity. Look at what happened to A & E when it ran Duck Dynasty. The LEFTIST executives thought the show would bomb in its first season and that this was an opportunity to literally make fun of conservative outdoors types. They were wrong! The program became wildly successful and the ratings were so high that in spite of hating it, they couldn’t afford to cancel it! So, do you think that the late night platform is willing to risk the loss of ratings by ideological lemmings like you by allowing a conservative comedian who might actually be funny? Everyone knows that Hollywood is nothing but a leftist echo chamber unwilling to allow any other point of view. Just like you edited out losing your temper to an unknown Trump supporter, Hollywood does exactly the same on the whole by editing out anyone who might actually make it money in order to keep the leftist conversation undisturbed. 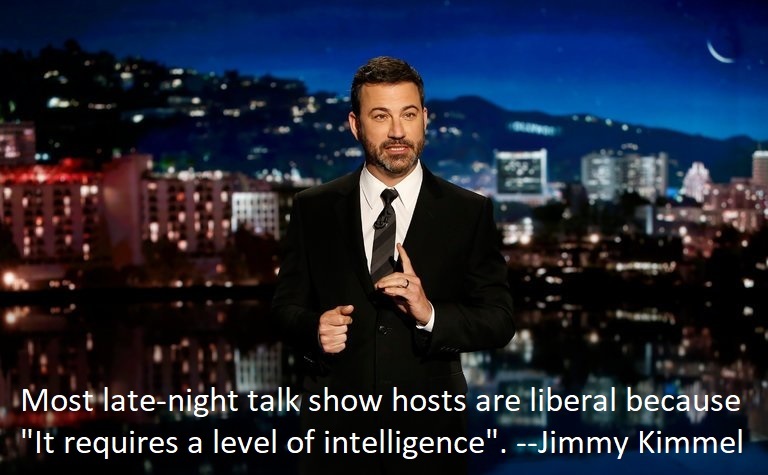 So when you made statement that late night comedy requires a “level” of intelligence, you must have meant a LOW level of intelligence. If you really think that you are intelligent, then the offer stands to debate me so that you can prove me wrong. Until then, I will turn off your station so that I can watch Youtube videos of intelligent people like Gary Gilleno, Arthur Schapper, Adam Carolla, Ben Shapiro, or maybe I will just listen to George Noory on AM radio talk about aliens and the supernatural.